When you’re looking for the perfect summer wine bottle, there are a lot of different routes you could take. You might do some research to figure out which types of wine pair best with your favourite summer meals. You might simply head to the closest Marks and Spencer and pick out a few featured bottles. Or you might try to find a local tasting where wonderful summer wines will be available for display and sampling. But, if you want to get particularly adventurous looking for great wine this summer, there is yet another appealing option to consider: travel. The world is full of spectacular wine regions with wonderful atmospheres and delicious wines, all just waiting to be enjoyed and sampled. In fact, there are almost so many great wine regions that it’s tough to choose one to visit. But to help you along, here are 5 particularly incredible destinations around the world. You may think first of sprawling fields when you hear the word “vineyard,” and in this sense Puglia is a unique wine destination. A small peninsula surrounded by water so blue it seems straight out of a fantasy, Puglia is home to old world architecture and an isolated feeling that makes you feel privileged just to be there. Throw in exquisite wine and you’ve got a magnificent vacation! The Douro River winds through a valley between hills dotted with beautiful vineyard terraces in this otherworldly destination. 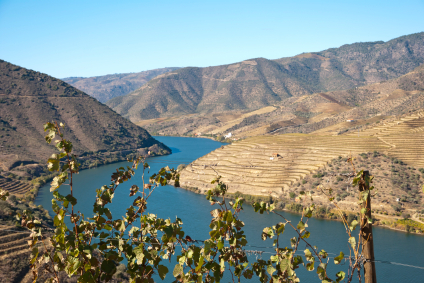 Picturesque without being cluttered or overpopulated, the Douro Valley offers a selection of very old vineyards with very fine wine. In particular, you’ll want to make sure you try some of this region’s renowned Port selections. Known primarily for its active and vibrant cities and its festive beaches, Brazil is also home to some of the most fascinating wine country in South America. Largely thanks to Italian immigrants from the 19th century, Vale dos Vinhedos almost resembles the mountains, green wine regions of Europe more than any traditional Brazilian landscape, and offers a massive selection of fine wines. There’s plenty to see and do throughout Brazil, but this region is a must on your travel checklist. 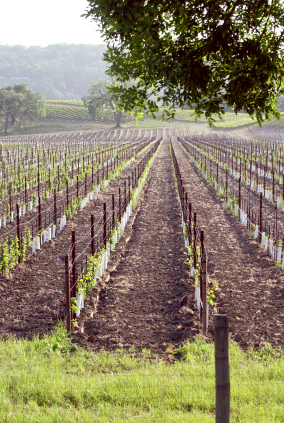 The smaller cousin of the infamous Napa Valley, Sonoma Valley in California offers a beautiful glimpse of the state’s wine country. The region is cozy, quiet and relaxing, with luxurious accommodations, an amazing variety of fine wine, and a generally peaceful atmosphere that allows you to really focus on your wine tasting, if you’re a true enthusiast. This sprawling, open valley in Australia is just a few hours’ ride from Sydney, and offers some of the more unique wines you’ll find in the world. The Shiraz and Semillon in particular are popular attractions, and once you’ve enjoyed an afternoon of tasting there are plenty of attractive local restaurant options to keep you happy. I have been to Napa Valley, which was much more commercial than I expected. I think I’ll try Sonoma this fall. I’m a little sad that I was so close to Hunter Valley, Australia but unaware of that little gem. Thank you for the information! Thank you for this, couple of interesting locations, who knows maybe I will go there ?